A car without anti lock brakes is vulnerable to uncontrolled skidding when braking, due to the risk of wheels locking up. The ABS system uses speed sensors to detect rapid decelerations, then controls the brakes through a series of valves positioned on the brake lines. The ABS uses a pump for restoring pressure to the brakes. The system is run by a control unit that processes the data from the sensors and controls the valves and the pump. Manufacturers continue to upgrade and improve anti-lock systems for faster reaction times and greater sensitivity. To find out details about your car’s system, visit Meineke #2461 in Winter Park, FL. You never know when you’re going to have to make a quick stop while driving your car. It is critical that you be able to trust your anti-lock brakes when faced with an emergency situation. If you have passengers in your vehicle, children especially, the need for safety is even greater. Regular inspections are the best way to make sure that your brakes are in peak condition. At Meineke #2461 in Winter Park, FL, we offer excellent ABS brake service, including timely and cost-effective inspections. Some people think that the funny little sound their brakes are beginning to make can be eliminated with a simple fix. They begin looking around, wondering where to buy brake fluid and spend some time considering options, such as silicone brake fluid versus mineral brake fluid as well as overall brake fluid cost. 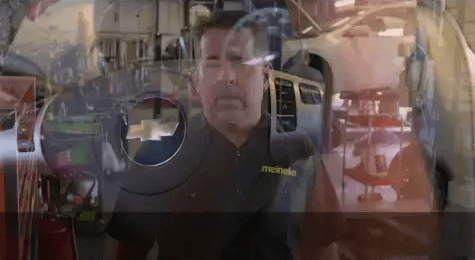 Meanwhile, the funny sound turns into an annoying screech and the smart driver will realize it’s time to take the car to Meineke #2461 in Winter Park, FL, for an inspection. It might seem strange that your regular brakes work properly even though the ABS brake light is on. This is no reason to ignore the light, because the anti-lock brakes prevent hydroplaning or skidding in adverse weather conditions. The ABS brakes give you more traction when you’re on a slick surface. The new technology of braking gives you even more control over your car, even if you start to slide. 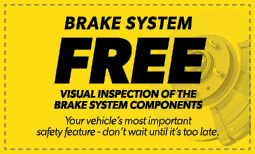 Bring your vehicle to Meineke #2461 in Winter Park, FL for ABS brake service to keep you and your passengers safe under any type of driving conditions. While some types of brake problems can be fixed by replacing the brake fluid, others need a more fundamental system overhaul. The top sign that a replacement is needed is noticeable loss of function in your breaks. If you are pressing your pedal and encountering no resistance, this could be a sign of systematic failure. If your ABS system is kicking in during normal driving, it may need to be replaced. 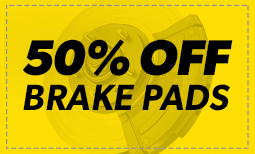 Get a better idea of replacement brake and ABS system cost by speaking with representatives at Meineke #2461 in Winter Park, FL. If you are thinking about replacing your anti lock system, a reputable service center can help you choose the best one for your car and help you ensure optimal function. Today’s manufacturers are continually improving sensitivity and reaction time in order to improve safety. As part of your brake’s mechanism, your ABS is affected by the type of brake fluid you use. High quality fluid is less prone to clogging your valves, so it is important to know where to buy brake fluid that is right for your system. Ask the professionals at Meineke #2461 in Winter Park, FL about replacing and maintaining your ABS, as well as brake fluid cost.